Heya Guys! Hope you're all well. 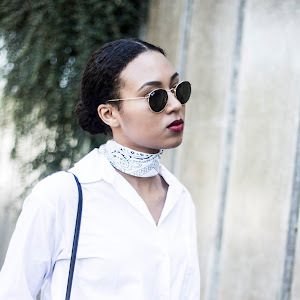 Welcome to my first 'fashion post'! 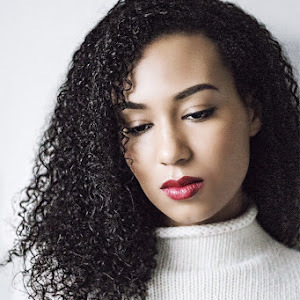 I've attached this to the 'fashion' tab on my blog: here you'll be able to find posts on my fashion inspirations, wish lists, my thoughts on fashion news and shows, and basically just me having a natter on about the weird and wonderful fashion world. To kickstart this, I had the idea of starting a little series on my blog called 'Trend Chat', which as the title suggests, will be focussed on the most hyped trends in fashion right now, and what I think of them. I'm not sure how often I'll be posting this, I guess it'll depend on how much you guys enjoy it, but I thought it would be a nice piece, a break from the run of the mill outfit posts and beauty reviews - I very much enjoy reading about fashion news and trends, and hopefully you do too! 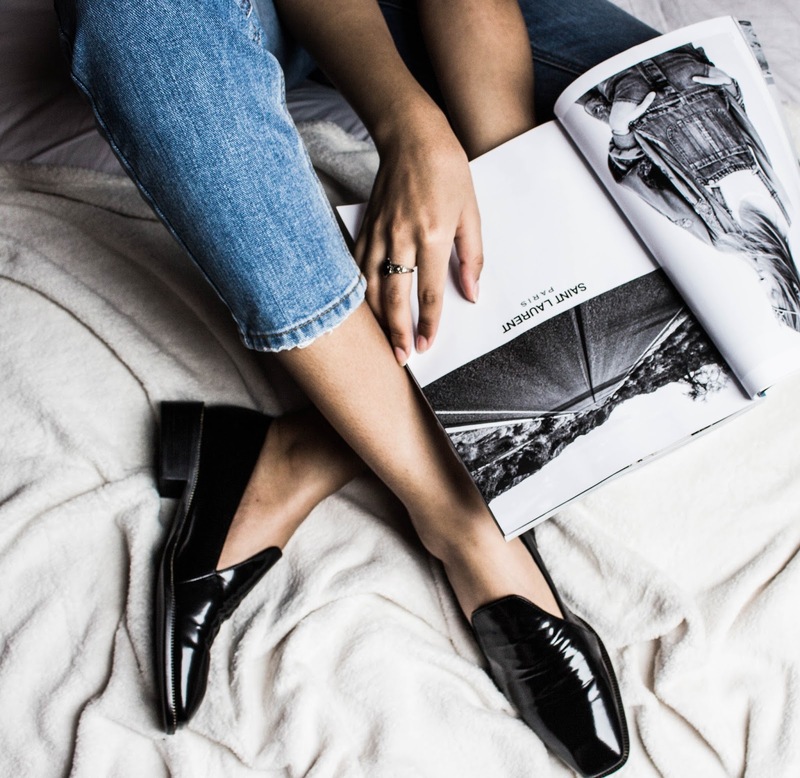 So I thought I'd begin by talking about two trend pieces I have been loving recently; that is, the straight leg jean and the loafer. Now just about everybody and their mum has been wearing these two pieces, be it separately or together, and I have been no exception. To me, these pieces mean two very desirable things: comfort and androgyny. The gucci horsebit loafers have been on of the 'it' pieces recently, having been seen on just about every frow this past fashion month - my pinterest is full of street style photos featuring these babies in various popular styles such as the backless style, slingback style (my personal favourites), the fur lined style (very daring I must say, not for me, I don't think! ), and the classic shoe. 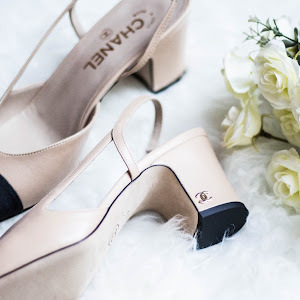 If I had unlimited funds, I would without a doubt invest in the slingback pair, and probably the classic pair too, but alas, a student loan doesn't stretch to £500 for a pair of shoes - so I've settled with this pair from Zara. 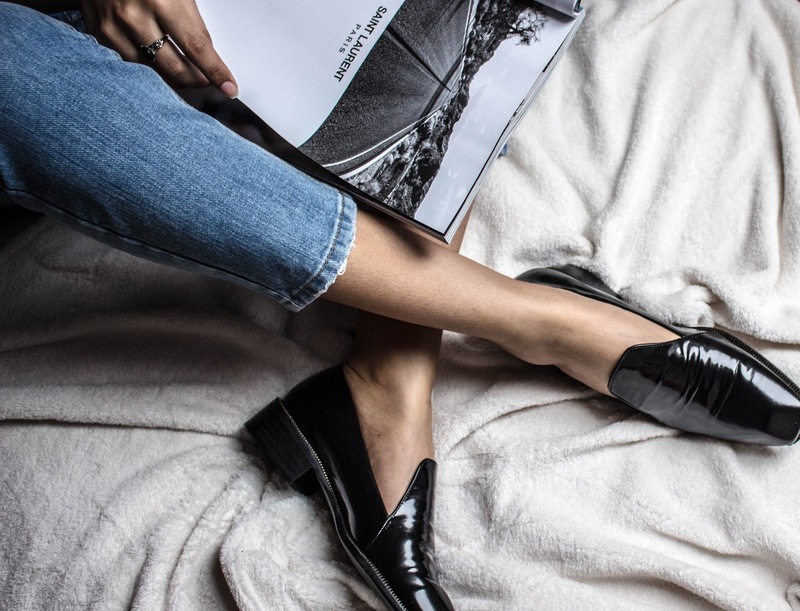 I love these loafers as I think they're a subtly more feminine take on the classic loafer; with the deep cuts in the flap piece being slightly more flattering by showing a little more skin, and the slightly higher heel also complementing this. I think the zip detail around the shoe also adds that something extra. Now this pair are actually from the SS14 Zara collection, so are no longer available, but there are a couple of similar styles currently available on the site. And I'll also link a couple of loafer styles I love below. I'm now on the hunt for a lighter colour pair for the upcoming S/S season, do you guys have any suggestions? Onto the straight leg jean. Now I was rather skeptical about this trend, I wasn't sure they'd be all that flattering on me. I'm a loyal skinny jean wearer, they're super flattering on everybody - I live my life in skinny jeans, and if I'm not in those I'll either be in leggings or pyjama bottoms. Yet, I was gradually reeled in by the countless oh-so-flattering street style pictures, and just about every blogger seemed to be rocking this trend. Thus, I succumbed and reluctantly ordered two pairs, and oh. my. goodness. No one could prepare me for the addiction that was about to begin. I have since ordered another 3 pairs (damn you, Asos sale!). You guys, straight leg/boyfriend/girlfriend, basically any looser fit jean is the way to go. They are so comfortable, yet still look 'chic' and put together depending on how you style them, I can't believe I'm this late to the party! I can now wear jeans to a restaurant and eat to my hearts content as opposed to having to wear leggings, or my skinnies (but subtly undoing the top button under a baggy top or knit to make room for dessert - something I'm not proud to admit, but we've all been there, right?) I'm currently hunting for (and building up the courage for) a pair of flared jeans; they're a little more out there, but why not give these 70s darlings a chance, eh? For now though, be prepared for many a style post featuring my new staple straight leg jeans - I can't see me getting bored of them anytime soon! So that's it for this trend chat! What did you think? I'm getting better at being more concise, right? (Very very slightly - but all progress is progress, no?) As a little aside, the beady eyed amongst you might notice that in the photos above, I'm peering at a Saint Laurent magazine ad. Now I for one am rather fascinated by the fashion world, particularly high fashion; I love to follow what's going on, and watch the shows on youtube during fashion week (whilst longing to be front row kitted out in luxury brands and looking totally badass - le cry), so thought I'd quickly mention the news which has rocked the fashion world; that creative director Hedi Slimane has resigned, and to fill his boots is Versus Versace's (now ex) Creative Director, Anthony Vaccarello. 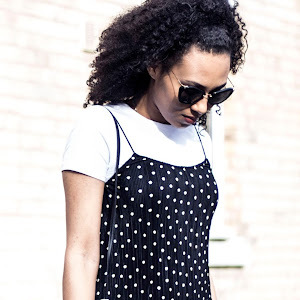 (Yes, I know this news isnt that recent - this post was meant to go up ages ago haha!) What did you guys think of this? Did you enjoy Slimane's time at YSL? Though met with controversy in regards to dropping the 'Yves' from the brand name during rebranding, (there were actually t-shirts donning the slogan 'Ain't no Saint Laurent without Yves! ), his era was very commercially successful, and I rather enjoyed the younger, edgier, rockstar-feeling, grunge aesthetic which characterised his tenure. So I wonder what direction Vaccarello will take the brand down. There are even talks that the original name of the label might be restored - perhaps this is an indication of a moving away from Slimane's twists? In any case, I for one will be eagerly anticipating Vaccerello's first collection for the brand; the SS17 collection! I hope you enjoyed this post! Come back on Sunday for another outfit post. These loafer are the cutest! Great post, your loafers are dope ! What a fab idea for a post! I hadnt actually seen the Gucci Horsebit Loafers until just now but I love them! If only I could afford them aha! Thank you lovely! Zara do the best shoes and they're prices are always so good! Haha oh, Adaleta, I'm sure you could pull off a loafer! But oooooh yes espadrilles are a good call! where did you get yours? I need a pair! I love the chanel ones but of course can't afford a pair at this stage in my current poor student budget life haha!